Preheat the oven to 350°. Ease the pie crust into a 9-inch pie plate and crimp the edges decoratively. Prick the crust lightly with a fork. Line the crust with foil or parchment paper and fill with pie weights or dried beans. Bake for 15 minutes or until set. Remove the foil and weights and bake for about 5 minutes longer, just until the crust is dry but not browned. Meanwhile, in a bowl, whisk the sugar with the cocoa powder, butter, eggs, evaporated milk, vanilla and salt until smooth. Pour the filling into the pie shell and bake for about 45 minutes, until the filling is set around the edges but a little jiggly in the center. Cover the crust with strips of foil halfway through baking. Transfer the pie to a rack and let cool completely before cutting into wedges. Serve with whipped cream. 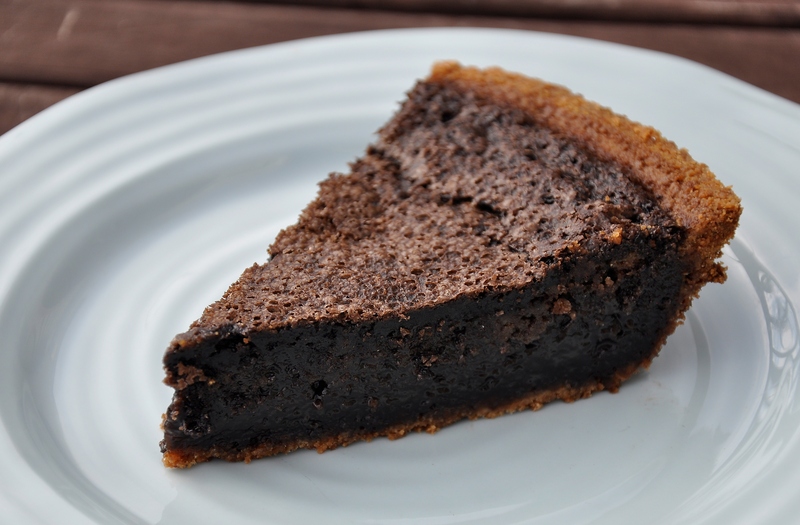 MAKE AHEAD The chocolate pie can be refrigerated overnight.